Chennai : Water war between Tamil Nadu and Karantaka on the Cauvery river water sharing is nowhere near a solution even after the Supreme Court verdict – as Karnataka is adamant on opposition setting up of CMB with tacit support of the BJP that is leading the government at the centre. Which is why, the opposition in Tamil Nadu wants the government to step up pressure against the central government and even proposes that all the MPs from Tamil Nadu resign from parliament. 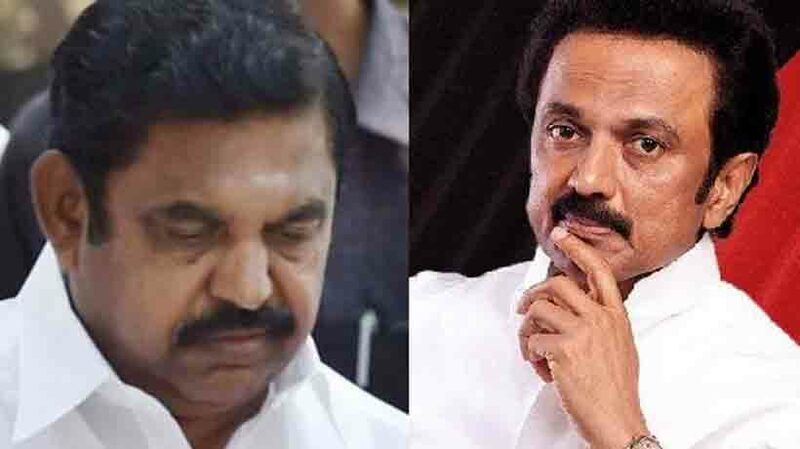 DMK working president MK Stalin said he urged the chief minister Edapaddi Palaniswami to consider asking the MPs to resign as a pressure tactic when the parliament reopens for the second phase of budget session on Monday. “We are ready to make any sacrifice,” Stalin said adding that his party will cooperate with the government on any step that was taken to protect the interests of the state and its farmers. Stalin met the chief minister at the secretariat after he received a telephonic invite from the CM on Friday. Opposition leader, PMK founder S Ramadoss has charged the central government with playing partisan politics in view of its political interests in neighbouring Karnataka. The Supreme Court had ordered the setting up of CMB within six weeks from February 16, but Karnataka is nowhere near helping Tamil Nadu farmers. In fact, it is about to lodge a formal plea challenging the SC order on CMB, sources in Karnataka government said. Stalin told media persons in Chennai that the prime minister continues to ignore the all party delegation as also farmers of the state, and it was an insult to Tamil Nadu and its people. “EPS and OPS have been meeting the PM separately. Why the PM is not meeting the farmers, DMK and other opposition parties,” Stalin questioned. State fisheries minister D Jayakumar however denied that the PM had refused to meet the delegation but said a reply from PMO only asked the delegation to call on the minister first. “Stalin saying that PM declined to meet delegation from TN was incorrect,” Jayakumar said. He said he was still hopeful of that the all party meeting would get an invite by Monday.